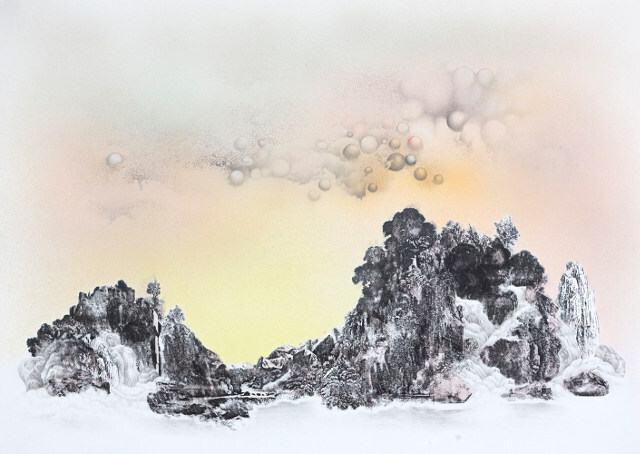 Artist Anouk Mercier invites you to take a stroll in a landscape that seems at once deeply familiar and uncommonly strange. 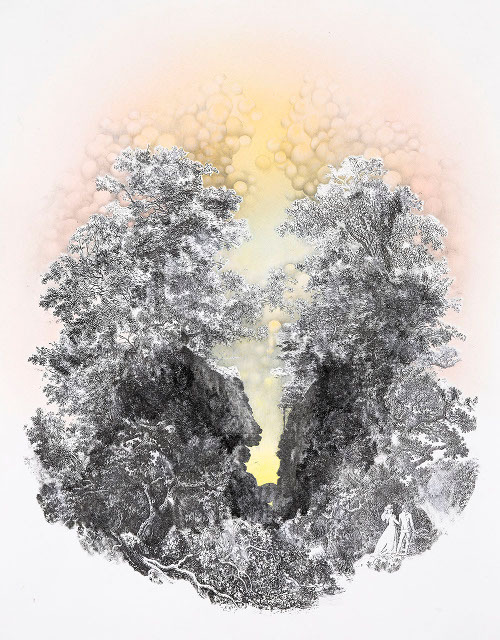 Like a set from an arthouse sci-fi film, skies are golden and flecked with bubbles that add both beauty and peculiarity to a scene that may well include an intricately detailed rendering of a grand Victorian country home, a craggy rockface and a scattering of trees. 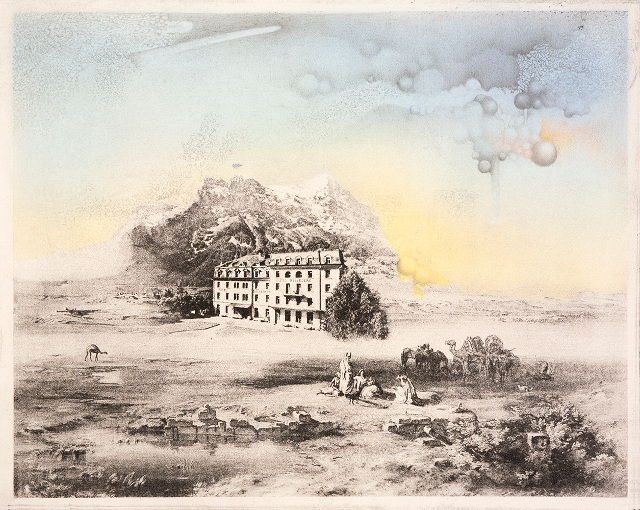 Finding the correct balance is also key to the eerie serenity of Anouk’s unique artworks, which blend antique photos and postcards with her own mark making. It sound like a divine way to search for and foster ideas for new artworks. 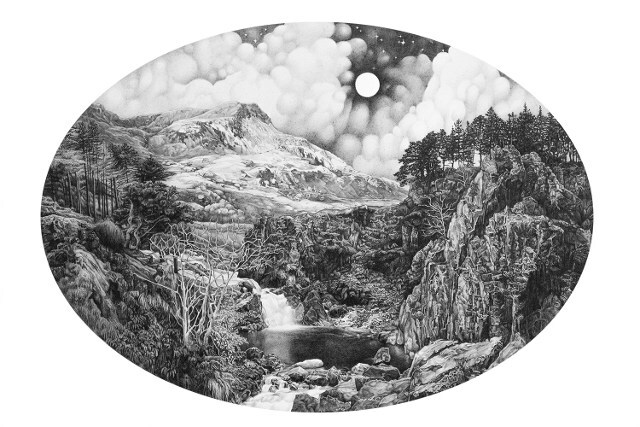 Anouk is currently represented by Antlers Gallery and The Contemporary London, and regularly exhibits with both. 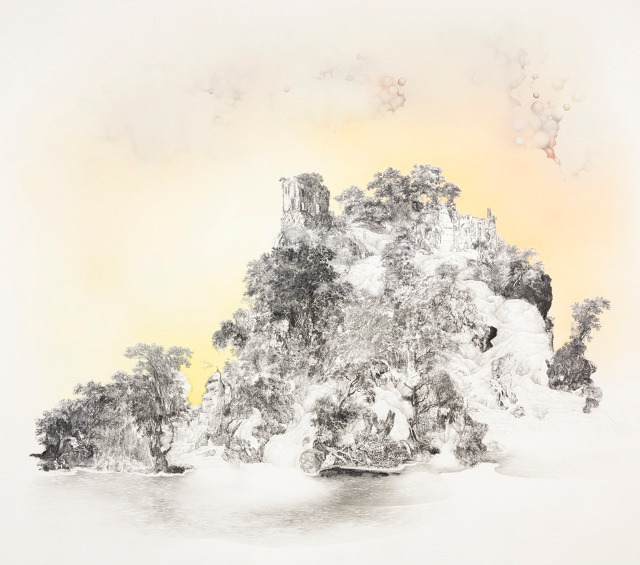 She recently had a drawing shortlisted for the Jerwood Drawing Prize, which you will be able to see as part of a touring exhibition opening in London on 16 September 2015. Find out more about what Anouk’s up to at www.anoukmercier.com.